How do I fill my eyedropper pen? The great thing about eyedropper-filled pens is they’re so simple! Uncap the pen and unscrew the section. Hold the open barrel upright to do this, of course. You can use a glass pipette if your pen was supplied with one, a plastic pipette, a syringe, or you can even pour ink in directly from a small container (if you’re careful). Fill the barrel nearly to full. Try to keep the ink below the internal threads before screwing the section back in. Make sure it’s snug. You may hear of people applying a thin layer of silicone grease to the threads on the section as an added barrier. This can help but it can be messy so apply sparingly. 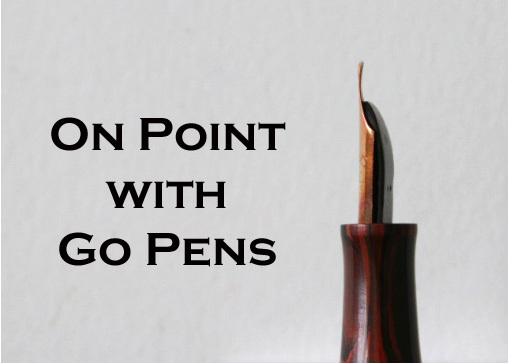 Once you turn the pen over, it can take a minute or two for the ink to be drawn into the feed and to the tip, so be patient.